The Department of Cardiology, Endocrinology, Nephrology and Pulmonology at the University Hospital Würyburg offers the full range of diagnostics and treatment of all diseases of the heart and blood vessels, pathologies of the endocrine organs, including diabetes mellitus, as well as diseases of the kidneys, lungs and respiratory tract. The department has in its arsenal an advanced medical infrastructure, which allows to provide the high-precision diagnostics and the most effective treatment of even the most complex clinical cases. At the center of all efforts of the department’s medical team is the patient, his health and a positive emotional mood for a favorable therapy outcome. The Chief Physician of the department is Prof. Dr. med. Stefan Frantz. The department is the recognized Cardiac Catheterization Center. The heart catheter diagnostics is a reliable method for the detection of coronary artery stenosis. The department regularly performs such procedures as balloon dilatation, stent implantation or rotabulation. With the help of catheter techniques, heart valve defects and structural defects of the heart wall are corrected. In particular, the department specializes in transcatheter aortic valve implantation (TAVI) and transcatheter mitral valve repair (MitraClip), catheter treatment of cardiac arrhythmias, etc. The treatment of heart failure is one of the priorities of the department. For these purposes, the department has the state-of-art technical capabilities and cooperates closely with the German Comprehensive Heart Failure Center (DZHI) and other departments. A team of doctors works in three modern catheterization laboratories 24 hours a day. It provides medical care for patients with acute heart attack and performs urgent interventions on the coronary arteries. In the field of endocrinology, the department treats all diseases and metabolic disorders in adults caused by hormonal problems. The department specializes in the treatment of thyroid diseases, osteoporosis, diabetes mellitus, endocrine tumors, obesity, etc. 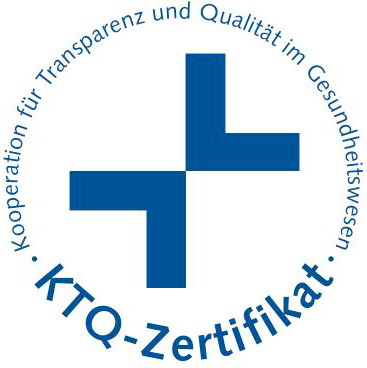 In addition, the department is one of two Reference Centers for Rare Endocrine Diseases in Germany, certified by the European Union! One of the priorities of the department is the diagnostics and treatment of endocrine tumors. The clinical manifestations of endocrine tumors are extremely diverse, and therefore the doctors of various medical specialties cooperate in providing assistance to such patients. Should the patient be diagnosed with a malignant tumor, a treatment regimen will be developed at the tumor board within the framework of the Comprehensive Cancer Center Mainfranken(CCCM). The department specializes in the treatment of adrenal and thyroid cancer, pituitary tumors, pheochromocytoma, adrenal incidentalomas, and diseases caused by hormone-active neoplasms (for example, Cushing's disease or Conn's syndrome). 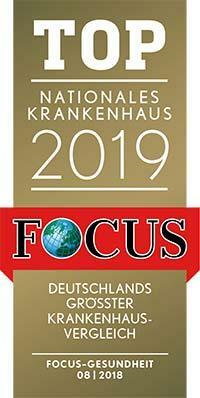 To continuously improve the quality of treatment and diagnostics, the department participates in the German Registry of Adrenal Tumors (NKR). Among the department’s priorities is also nephrology. In this field, it offers the diagnostics and treatment of all acute and chronic diseases and functional disorders of the kidneys. The department specializes in supporting renal therapy, kidney transplantation, as well as in the treatment of renal arterial hypertension. The scope of tasks of the department's doctors also include the therapy of all forms of acute kidney failure, inflammation of the renal glomeruli (glomerulonephritis), cystic nephropathy. Also, the department offers the treatment of kidney failure in case of diabetes mellitus, interdisciplinary treatment of autoimmune diseases and rheumatological diseases. Fabry disease is treated within the specialized center. The specialists of the department are also engaged in the diagnostics and treatment of all diseases of the lungs, respiratory tract and thorax. In addition to bronchial asthma (BA) and chronic obstructive pulmonary disease (COPD), the department also specializes in the modern treatment of lung cancer. In addition, the department is the recognized Center for Rare Lung Diseases. The department enjoys an impeccable reputation in the treatment of COPD, pulmonary emphysema, and bronchiectasis. In particular, the department specializes in the treatment of severe pulmonary pathology and diseases of unclear etiology. All modern methods are available for the treatment, including, for example, endoscopic lung volume reduction and implantation of the so-called bronchial valves. In addition, the department successfully uses modern methods of drug therapy, for example, replacement therapy for alpha-1-antitrypsin deficiency. 1989 - 1991 Study of Medicine, University of Regensburg. 1991 - 1994 University of Würzburg. 1994 University of Western Ontario, London, Canada. 1994-1996 University of Würzburg, 3rd State Examination. One-year practice in Neurology and Cardiology at the University of Southern California, Los Angeles, USA. 1996 Title of the Candidate of Medical Sciences. 1996 - 1997 Intern, University Hospital Würzburg. 1998 - 2000 Department of Cardiac Surgery, Brigham and Women's Hospital / Boston University School of Medicine, USA. Molecular Biology in the laboratory of Prof. Ralph Kelly with the support of a Research Grant of the German Research Foundation. 2000 - 2007 Assistant Physician at the University Hospital Würzburg. 2006 Doctoral thesis defense in Therapy, Venia Legendi and appointment to the position of PD. 2006 Certified Specialist in Health Economics. 2007 Senior Physician of the Intensive Care Unit. 2007 Additional qualification in Intensive Care. 2008 Secretary of the Cardiovascular Center. 2009 Head of the Department of Emergency Medical Care and Admission Unit. 2009 Management of Chest Pain Unit. 2010 Board Member and Scientific Director of the Comprehensive Heart Failure Center (DZHI) Würzburg. 2010 Deputy Director of the Department of Internal Medicine I, University Hospital Würzburg. 2011 (W2) Profess in Translational Researchers. 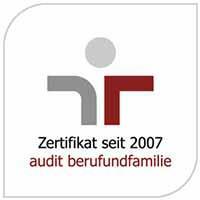 2012 Board Member of the Interdisciplinary Center for Clinical Research (IZKF) of Würzburg. 2012 Permission to provide advanced training courses in Intensive Care for doctors. 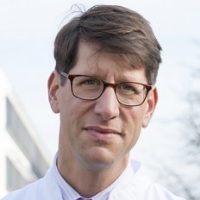 2014 Director of the Department of Internal Medicine, Martin Luther University Halle-Wittenberg. Permission to provide advanced training courses in Cardiology / Internal Medicine. 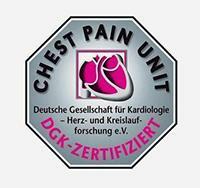 2014 Chairman of the Professional and Examination Board for Cardiology, Federal State Association Saxony-Anhalt. 2017 Director of the Department of Cardiology, Endocrinology, Nephrology and Pulmonology at the University Hospital Würzburg. 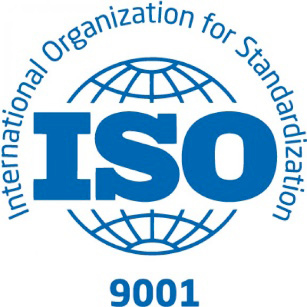 2003 Qualification "Radiation protection" (accidents, examinations of the thoracic organs, cardiac catheterization). 2004 New Investigator Award at the American Heart Association, Council on Basic Cardiovascular Science. 2005 Prize of the Network of Competent Medical Centers for Heart Failure. 2013 Arthur Weber Prize (prestigious honorary award of the German Cardiac Society). Member of the European Academy of Sciences (EUAS). American Heart Association, Council on Basic Cardiovascular Science. European Society of Cardiology, Working Group on Myocardial Function. Department of Cardiology, Endocrinology, Nephrology and Pulmonology.